When meeting with prospects and investors, alternative investment managers frequently market themselves as having a repeatable, predictable, and sustainable investment process that generates superior returns and performance. But how often do those alternative investment firms apply repeatable, predictable, and sustainable processes towards their capital raising and retention efforts, when these efforts are the lifeblood of their business? 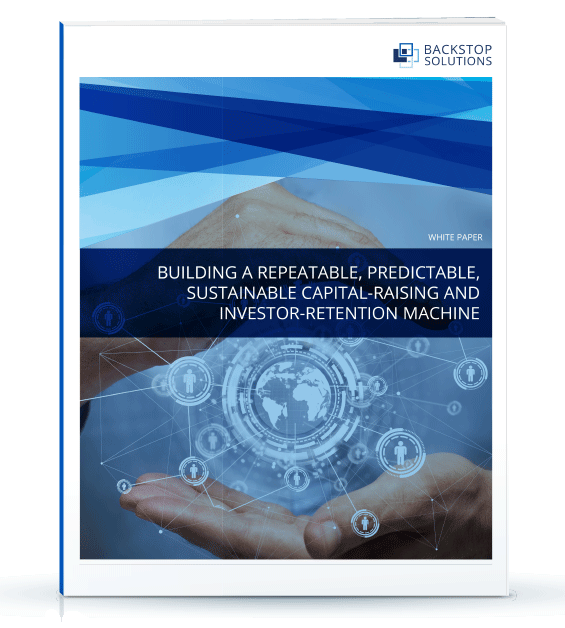 Download our white paper to learn the 4 elements of a repeatable, predictable, and sustainable capital raising and retention machine for alternative investment firms.